Looking for something to do this holiday season? We’ve got you covered with a list of the best entertainment taking place! Metta, one of Brooklyn's most celebrated restaurants, is hosting a dinner on December 10th to benefit GrowNYC's Grain's Project. Tickets are $75 each and the evening will feature two seatings at 6pm and 8:30pm Get your tickets here. Mark Morris Dance Group’s beloved retro-modern reimagining of The Nutcracker comes back to BAM for the holidays. Learn more. 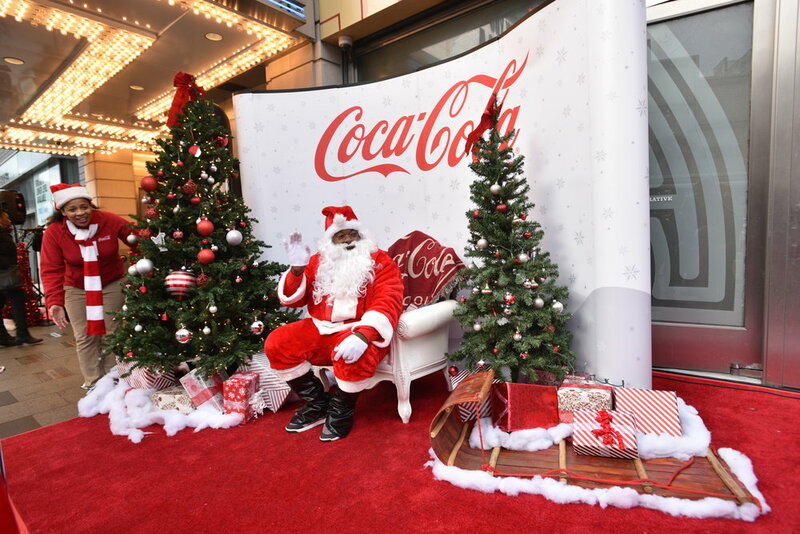 The Apollo Theater and Coca-Cola invite you to bring the family for holiday-themed activities including picture taking with Santa Claus and amazing performances from local choirs. This event is hosted by the Apollo Theater’s Tour Director and Ambassador, Billy Mitchell. Learn more. The Apollo Theater lights up this holiday season with the Apollo Amateur Night Holiday Special, the annual event under its signature program Amateur Night, showcasing recent winners of the show's "Apollo Stars of Tomorrow" category. This showcase will feature an incredibly talented array of instrumentalists, singers, and dancers from ages 11-18, this program captures the spirit of young performers all hoping to follow in the footsteps of Apollo Legends like Michael Jackson and Ella Fitzgerald, whose careers were launched on the stage of the Apollo. Learn more. Tony Award Winner Cynthia Erivo and Billboard #1 recording artist Shoshana Bean star in a one-night-only Holiday Concert Event - NIGHT DIVINE - at Harlem's World Famous Apollo Theater. Learn more. Lift your Holiday spirits with an afternoon of soul stirring Holiday gospel music! Cece Winans will warm your soul and Hezekiah Walker and the Love Fellowship Choir will take you higher. Marcus Wiley, host and comedian, promises to delight you and your loved ones throughout the afternoon. Learn more. Join Caramoor’s great tradition of holiday music with charismatic musicians, festive decorations, and tea service in the majestic Music Room. Enjoy an assortment of finger sandwiches, scrumptious holiday treats, and a variety of teas (hot chocolate with marshmallows for the little ones). Learn more. This a cappella vocal quartet brings their exquisitely blended voices to the Music Room in Sing Thee Nowell, a program of sacred Christmas music spanning seven centuries. The Rosen House, splendidly decorated for the holidays, will be open for self-guided tours between the two performances. 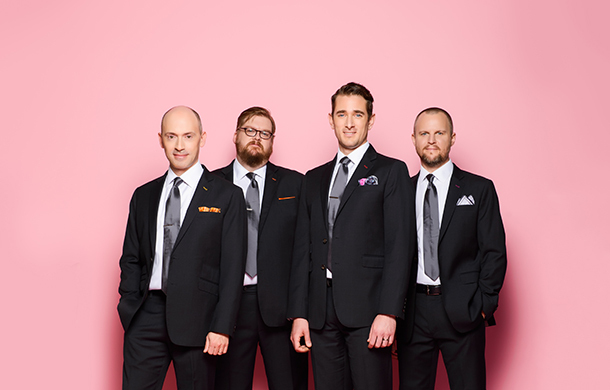 Ring in the holidays with New York Polyphony’s “rich, natural sound that’s larger and more complex than the sum of its parts” (NPR). Learn more. Santa comes to Caramoor to fill the Rosen House with holiday cheer. The little ones will be in for an adventure with I Spy a Santa or Two in the Music Room followed by a 30-minute concert of favorite holiday songs, then Santa Claus appears to delight the whole family. Santa’s favorite snack — milk and cookies — will be served in the Summer Dining Room. Bring your cameras and begin the festive season with joy! Learn more. Join trumpeter and music director Riley Mulherkar for this swinging holiday show featuring a collective of New York’s finest rising stars. Learn more. Legendary pianist and staple in jazz, Barry Harris, treats us to an iconic performance on Christmas Eve that you don’t want to miss! Learn more. Carlos Henriquez and his all-star octet will ring in the New Year with a series of energetic concerts. Hailing from the Bronx, Henriquez is a rare virtuoso in both jazz and Afro-Cuban traditions. Learn more. The Joy of Giving Back!